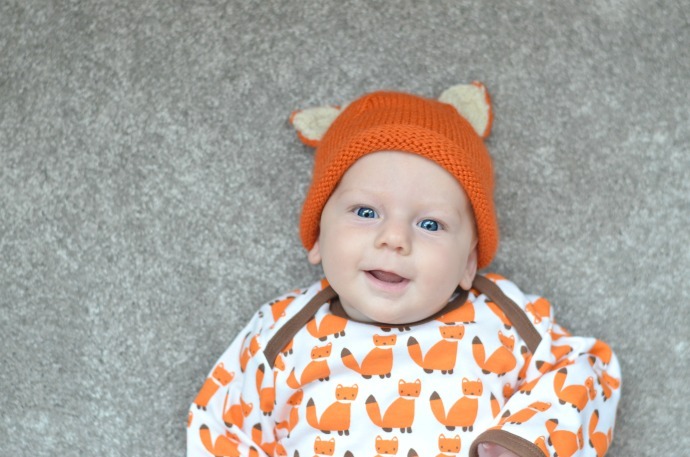 I appear to have developed a bit of a love for fox themed clothing at the moment - between the autumnal colours and the novelty ears, it seems the perfect attire for the two smallest people in my house. 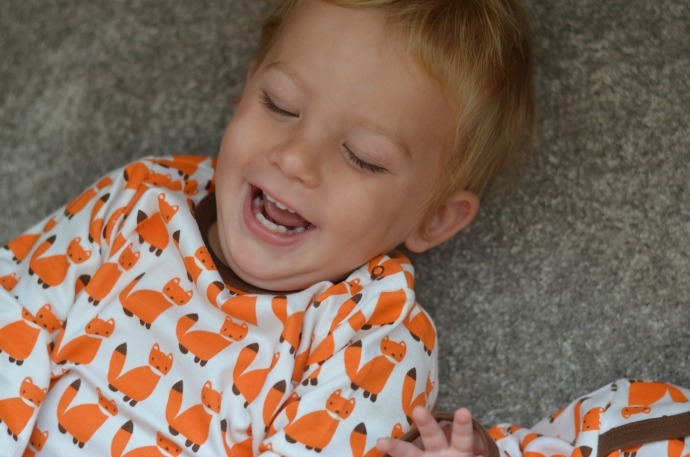 I love how unisex most of the fox bits are and these items from Sture and Lisa at Little Chickie are perfect for my baby girl and my little boy. 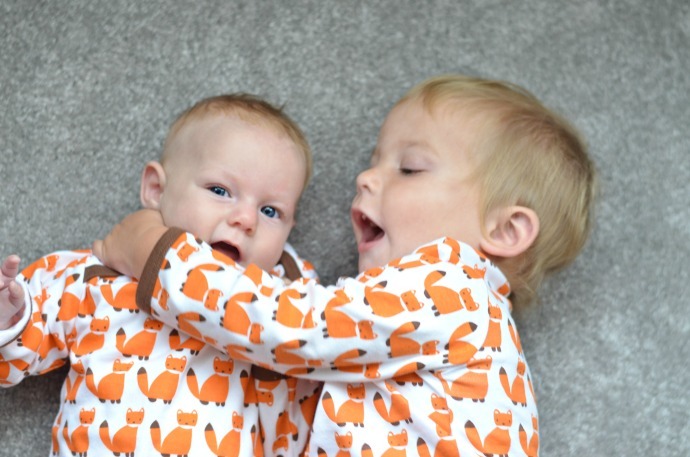 I never intended to dress them matching quite so much, but Finn just adores his little sister and they look so sweet together that I can't resist. I love matching them but with a few differences and these outfits are perfect for that. 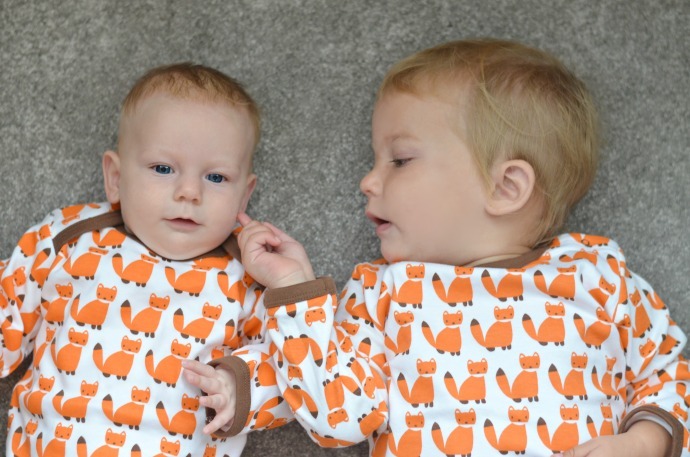 Cora has an all in one romper and Finn has the matching long sleeved t-shirt with some co-ordinated brown bottoms. You can also get a vest and bib in the same fox print. Cora is wearing a 68 / 3-6 months and has lots of growing space. She is an average sized 3 month old and I imagine this will last her until she is 6 months. 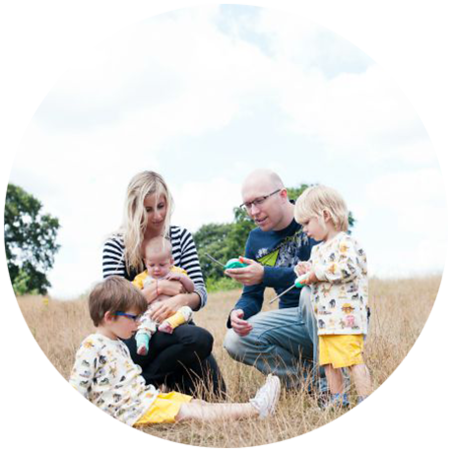 Finn is an average 19 month old wearing the size 12-18 months. 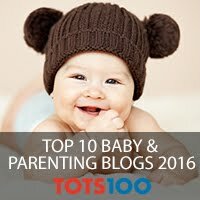 He often fits in a 12-18 months and these items are the perfect fit on him and should last a few months too. I love how sweet they look together and that Finn's outfit is so unisex that I can save it for Cora to wear next Autumn! 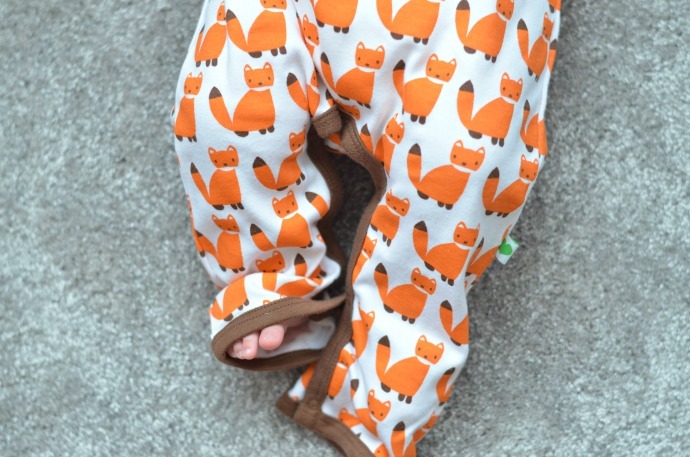 Little Chickie sell more than just adorable fox clothes - as well as some of our favourite small babywear brands they sell beautiful gifts for little people too and I already have my eye on a few bits for Cora's Christmas present. Thank you to Little Chickie for sending us these beautiful bits.